The visual identity for the Norwegian University of Life Science never comes to an end. With a symbol created as a “Biogram”, it creates a new version of it self every day and reflects how the university is about life, living organisms and cycles. The system is based on 21 points with 7 different sizes, where the size changes according to the date. This dates can be everyting from important milestones in the schools history or personal references for the users. The logo has no static form: since this is about moving image, I generated a pool of different versions that are applied once and then thrown away. Victoria and Albert Museum has commissioned the artist Karsten Schmidt to design a truly malleable, digital identity for the Decode exhibition by providing it as open source code. We are giving you the opportunity to recode Karsten’s work and create your own original artwork. If we love your work it might even become the new Decode identity. Text quoted from Decode via FormFiftyFive. Image from toxi‘s Flickr. Part of the already commented AOL rebrand. This videos from Field are truly generative, adding even more complexity to the identity. 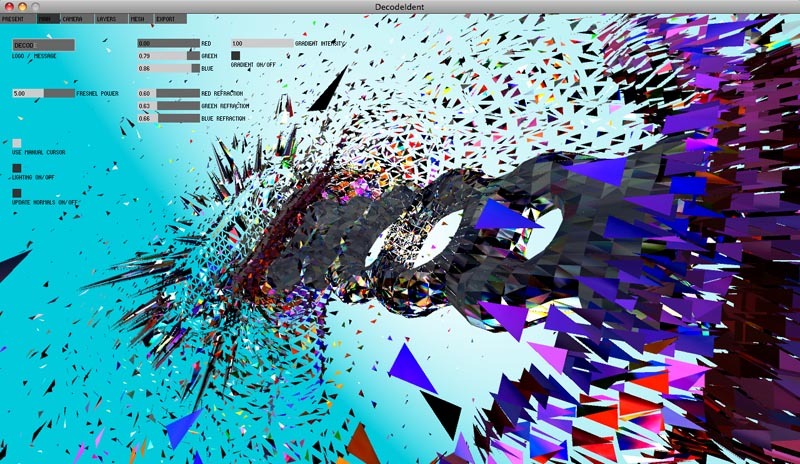 Apart from that, there is an impressive body of generative work worth looking at at their own website. Colorsukr is an online application by Paul Burgess that generates colour palettes from images. An interesting tool worth looking at.